Ryan’s father worked in the oil industry. He left his home in south Louisiana for the booming oil industry of Ryan’s birthplace, Aberdeen, Scotland. Various stops were made between the United Kingdom and west Africa before Ryan lived on American soil for the first time. For Ryan, it was instilled at a very young age that the world was a big place, yet interconnected. This global perspective still serves him well today. He’s learned that home may be a familiar place, but opportunities abound if you’re still willing to explore. When not at work, Ryan loves being with his wife and daughters. They are active members of their church and have found many ways to be involved at his daughters’ school, Denton Calvary Academy. 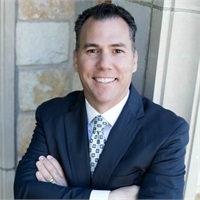 Ryan is a 2016-17 graduate of the Leadership Denton program which invests in educating and equipping the future civic leaders of the Denton community.